up to height. 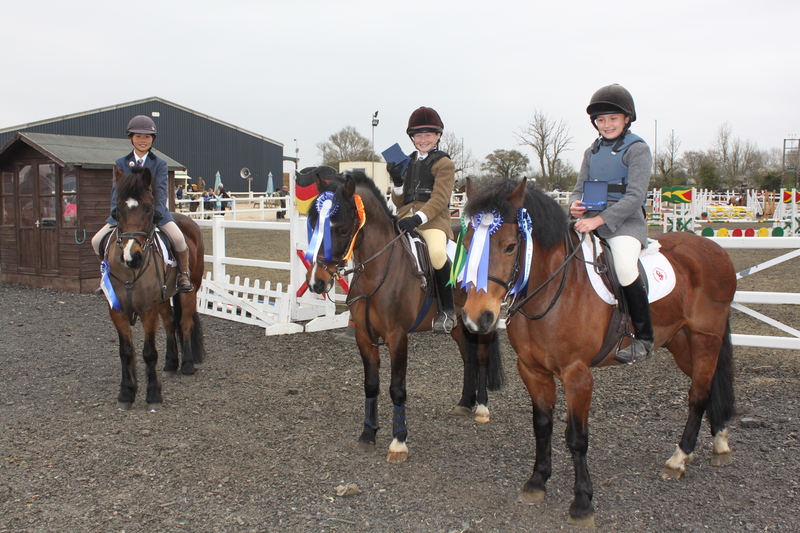 Although this was only their second competition, all three did double clear rounds, the only team in the competition to achieve this, and were therefore clear winners of the class. The fourth team member, Katie Pyle, did not ride on this occasion but played a critical role in keeping tabs on other teams scores and enabling Sherston to use the correct tactics for their rounds. Amy, Alex and Charlotte also entered the 65cm warm up class which was for individuals rather than teams, and took three of the top four places! Charlotte did a blisteringly quick jump off round to take the win, with Amy coming third and Alex fourth. The team who are overjoyed at winning, now go on to join another 23 teams from around the county to compete at the National Championships which are held at Addington Manor in Buckinghamshire in October. Malmesbury School will be there too as they qualified a team in the 90cm class. “It is very exciting for the children to be going to compete in a National Final in such a prestigious venue. Actually it’s quite exciting for the parents too! We can’t wait!” Said Mrs Elise Harvey, summing up the feelings of all involved with the winning team. Next Sherston School open day is Tuesday June 26th 2012.